Ok so here’s the thing. I love sweets. I don’t care if it’s a tart, a slice of cake, cookies, candy or a hunk of chocolate. Just love it all. I have a secret obsession with vanilla bean ANYTHING, but I will take down a cup of rich, intense drinking chocolate like it’s my job. Since we are in the full swing of holiday season, there has been a lot of discussion amongst my friends and loved ones about the subject of dessert. For me, making the sweets portion of a meal is absolutely awesome (if I have the time). Needless to say I’m usually bringing dessert. But the funny thing is, I’m realizing that people are craving small bites of sweetness. It’s almost like they don’t have the time (or the room) for a slice of dessert after, cocktails, apps and dinner. 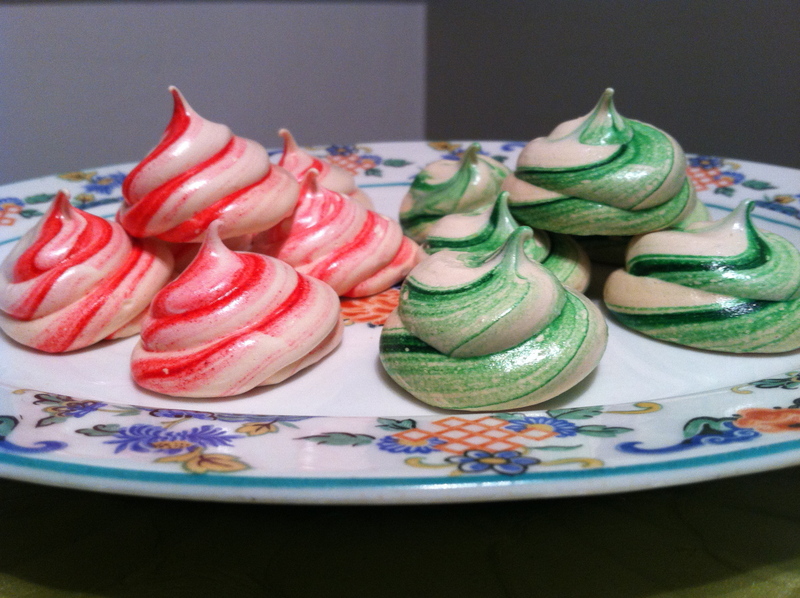 So I decided to start making these awesome meringue cookies for dinner parties or family gatherings. It’s usually not the only thing I bring, but I find they are the perfect item to hold in your hand while sipping the last of your champagne. The other thing I love about these little guys is that they can be flavored with anything. And I mean anything. The versions I made here were peppermint and bubble gum, but you can make classic vanilla, cocoa, citrus zest, cinnamon…hell even brown-sugar & bacon. It really doesn’t matter how you flavor them, just give them a whirl. Trust me, they’re sooooo easy. Lastly, they are fat-free (aka guilt-free). The most basic bones of the recipe are egg whites, sugar, salt and cream of tartar. That’s it!! Of course you have the creative liberty to add whatever your heart desires. But honestly? Everyone has those 4 ingredients in their home. I promise, they’re simply awesome. No worries, you already have the ingredients in your kitchen. So do yourself a favor and whip up a batch won’t you? This is how your meringue peak should look! Combine the egg whites and the sugar in a glass or stainless steel bowl. Place the bowl over a pot of simmering water. Stir this mixture until the sugar dissolves and is warm, about 3-5 minutes. – I can tell it’s ready if the mixture is no longer grainy and when drizzled over my finger, it feels like my body temperature. Pour the egg white-sugar mixture into the bowl of a stand mixer, fitted with a whisk attachment, and add the cream of tartar and salt. Beat the mixture on medium-high speed until the mixture is stiff and glossy, about 7-10 minutes. (I like to stop the mixer around 7 minutes and detach the whisk. Turn it upside down and the peak of the meringue should stand up straight and just fold over at the tip. If not, continue whisking for 2 more minutes.) Whisk or stir in your flavoring and food coloring. If you want your meringues to look swirled, just barely stir in the food coloring (leave streaks-don’t fully incorporate it). Otherwise you can make colored cookies by fully stirring the coloring in. Prepare 2 parchment lined baking sheets. 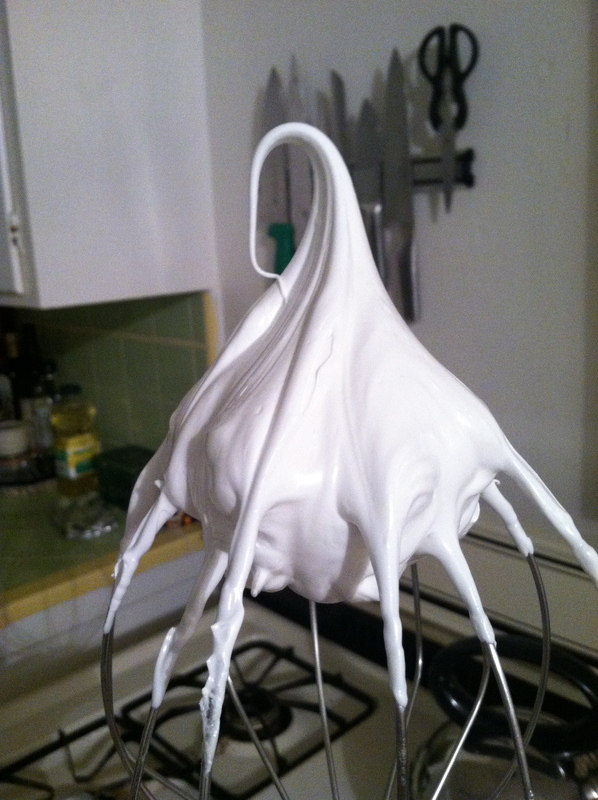 Fill a piping bag (or large Ziploc) with the meringue mixture. Pipe 1 1/2 inch circular rounds about 2 inches apart. 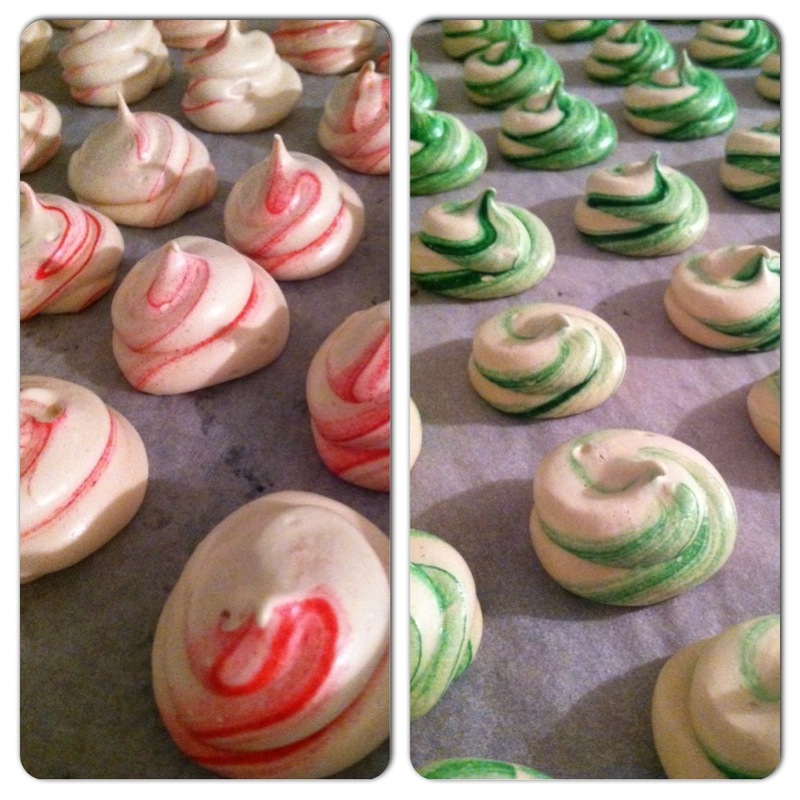 Bake the meringues until crisp on the outside and marshmallowy on the inside, about 1 hour and 10 minutes. Allow to cool completely on a wire rack. Store in an air-tight container at room temperature. One of the things I have learned that I love most about my job is being able to talk about food everyday. I work for a culinary event company in Redondo Beach, California called Simple Gourmet. We cater parties, host culinary team building events and my favorite, teach cooking classes. It is so fulfilling to spend an evening discussing food, demystifying techniques, creating delicious meals and meeting new friends. In the beginning of the year, I taught a Cooking Fundamentals course, which met every Wednesday for five weeks, and was introduced to four lovely women who were enrolled in my course. At the end of our five-week time together, Pam, Denise, Irene, Cathy and I had exchanged emails and planned to continue to meet up for a dinner party one Wednesday of every month to continue our cooking adventures together. Well, our first dinner party (dubbed Cooking Cuties) was last Wednesday and our theme was Mexican cuisine. We met up at Pam’s beautiful beach cottage, and began the night with cool and refreshing margaritas. We were so excited to see each other and catch up on life and especially eat! Denise brought steaks which she seasoned with a Southwestern spice blend and grilled them on a cast-iron stove top grill pan. She made a bright & colorful salsa (with perfectly uniform knife cuts!) to serve over the top. Irene brought all the fixing for shrimp tacos and I have to say her homemade tomatillo salsa was seasoned perfectly! My favorite dish of the night was Cathy’s Mexican Corn on the Cob which was the perfect mixture of spicy, buttery and salty. She even gave a great tip: Grate the Cotija cheese instead of the usual crumbling, it adheres to the corn more easily (brilliant!). 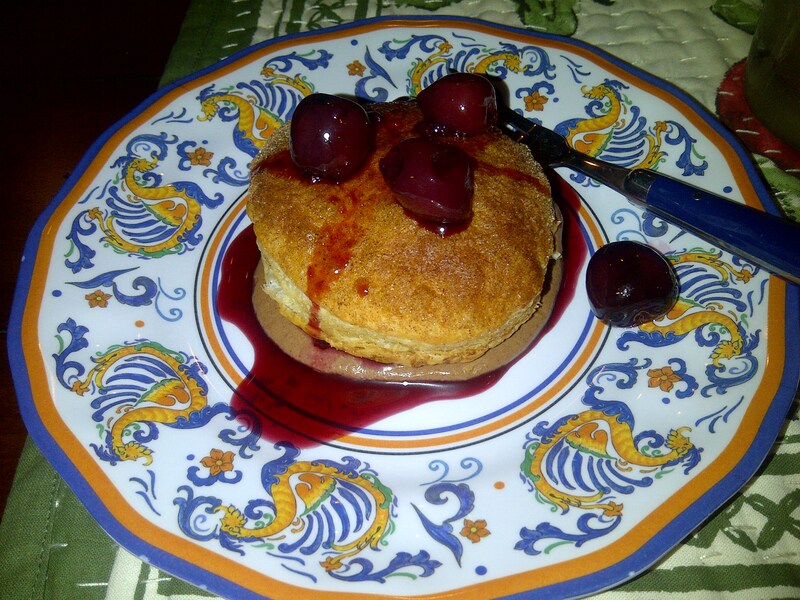 For dessert I made a Cinnamon-Sugar Puff filled with Mexican Chocolate Mousse and Tequila Cherries. It has all the flavors of a Mexican dessert in one dish. I’m so excited to see what the “Cooking Cuties” will whip up at our next dinner party. I was so proud of all the girls. Their confidence in the kitchen had grown so much and I know they will continue to take risks and have fun creating memories in their kitchens. In the meantime, if you’re in the mood for a Mexican inspired dessert, here’s the recipe! To make the Puffs: Preheat your oven to 400 degrees. Use a 2-inch cookie cutter to cut rounds of dough and place onto a greased cookie sheet. Brush each round with melted butter. In a small bowl, stir together the cinnamon and sugar to combine. 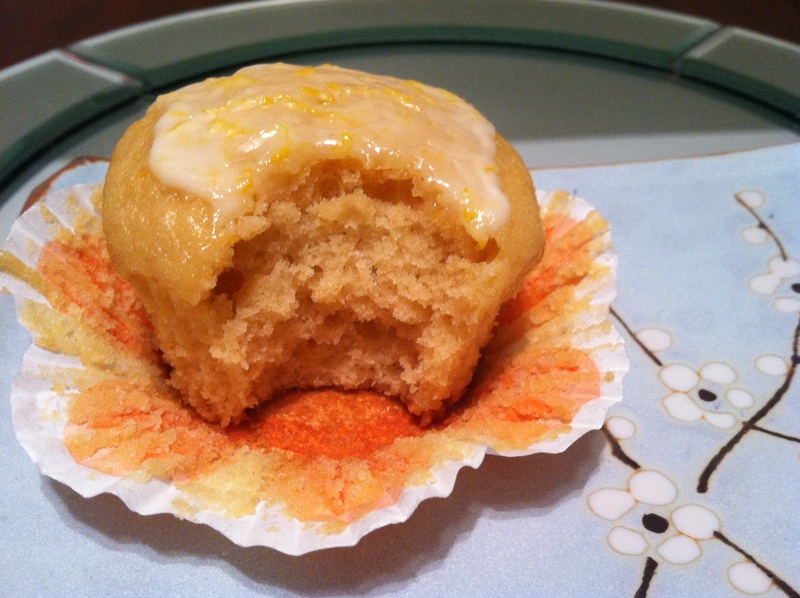 Using your fingers, sprinkle the cinnamon-sugar liberally over the rounds. Pop the sheet into the freezer for 5 minutes (you want the pastry to be very cold when it goes into the oven- the heat from the oven & the cold butter create steam and that’s what gives you a beautiful puff!) Bake for 10-12 minutes or until golden brown. Cool completely. To make the Mousse: In a microwave safe bowl, combine the chocolate & butter and warm until melted (stopping to check and stir every 10 seconds). Remove from the microwave and allow to cool slightly. Meanwhile, whisk the egg yolks in a medium bowl until pale yellow in color and slightly thickened, about 4 minutes. Slowly whisk the chocolate mixture into the yolk mixture, whisking vigorously until incorporated. Set aside. In another bowl, beat the egg whites until foamy. Add the cream of tartar and beat until soft peaks form (you can check this by lifting the beater out of the whites and turning it toward the ceiling, if the tip of the whites bends back down, you have soft peaks.) Gradually beat in 1/4 cup sugar & cinnamon, and continue beating until you reach stiff peaks (the egg whites will stand straight up when the beater is turned upside down.) In a chilled bowl, beat the heavy cream until it begins to thicken. Add the 2 remaining tablespoons sugar and the extracts and continue beating until the cream holds soft peaks. Gently fold the egg whites into the chocolate mixture to lighten it. Then fold in the whipped cream gently. Scoop into a resealable bag and refrigerate until ready to use. To make the Cherries: Combine the pitted cherries, tequila, brown sugar, cinnamon stick and cloves in a small pot. Cook over medium heat until the cherries have released some liquid and the tequila becomes slightly syrupy, about 12-15 minutes. To assemble the Puffs: Using a small paring knife, pierce a small hole into the side of each puff. Snip a small hole in the corner of the resealable bag and pipe the chocolate mousse into each puff. Top with the tequila cherries and enjoy! Meeting your spouse’s extended family can be a dizzying experience, especially when you happen to be in a country you’ve never visited and there is a slight language barrier. There are so many new faces, names and relationships to navigate. Last September, my husband and I, along with his parents and aunt, visited Ecuador for a family trip. We visited many of his family members and I was enchanted by their warm and welcoming demeanor. Although I have many fond memories from that trip, one will always stay especially close to my heart. We visited my father-in-law’s oldest sister, Lidita, at her home outside of Quito. She and her husband, Felix, have a beautiful home on a large plot of land, with rolling green lawns and fruit trees everywhere. In the corner of the property they had a great wood-burning oven and I was delighted to hear we were going to be making bread and using that oven for baking later in the day. After lunch on the lawn, we traveled to the patio where the oven was awaiting us. The fire was lovingly tended to until the flames roared then subsided. 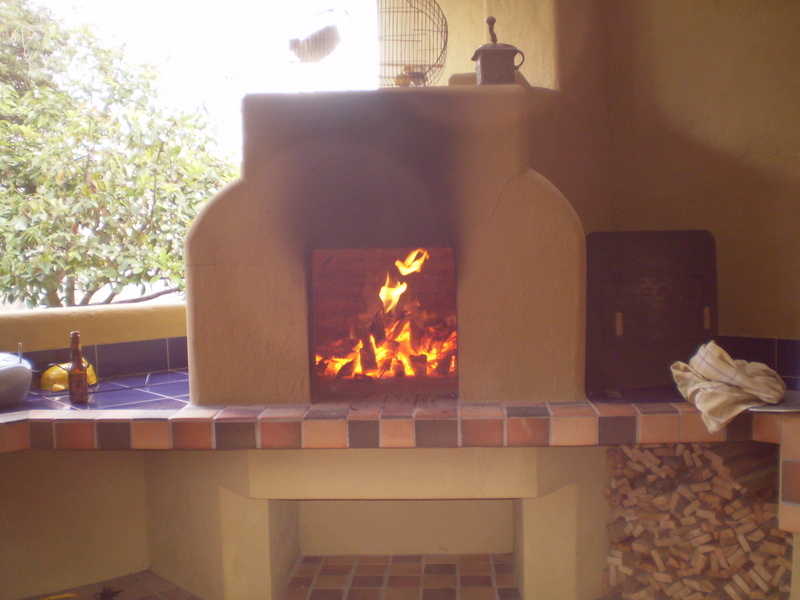 A large, oval, wooden bowl was brought outside and the bread dough was kneaded by hand in that vessel. It was heartwarming to see all the children intently watching how the dough turned from a wet and soggy mass to a soft and pliable dough. 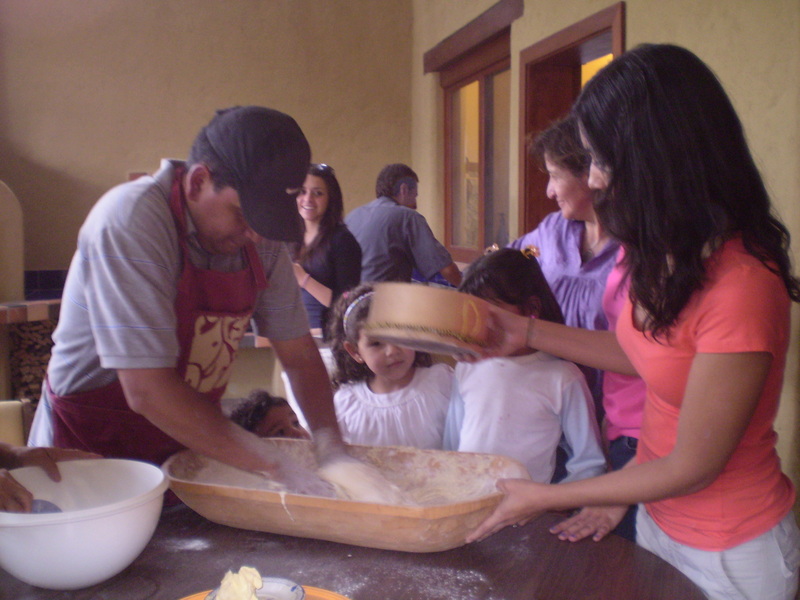 Once the dough was rested and ready, everyone helped to form it into different shapes. Some were filled with cheese or jam and others just rolled into balls. I loved seeing all the flour-covered hands and laughing faces.They were brushed with a wash and placed in the oven, near the fiery logs. 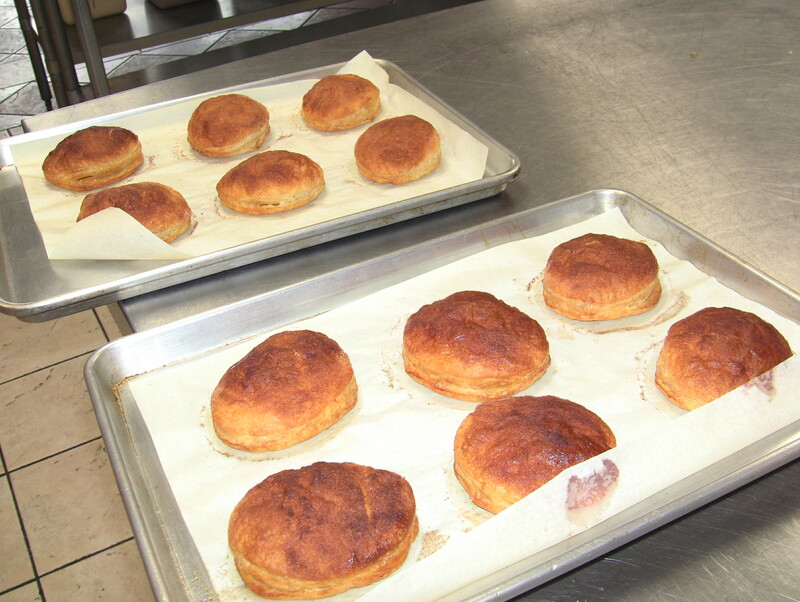 When they emerged they were perfectly golden brown, and everyone could hardly wait to enjoy the soft, pillowy rolls. I didn’t write down any recipes that day, but that memory will be one I won’t soon forget. Instead I have a recipe for a bread dough that has the same characteristics and can be made in a electric standing mixer. 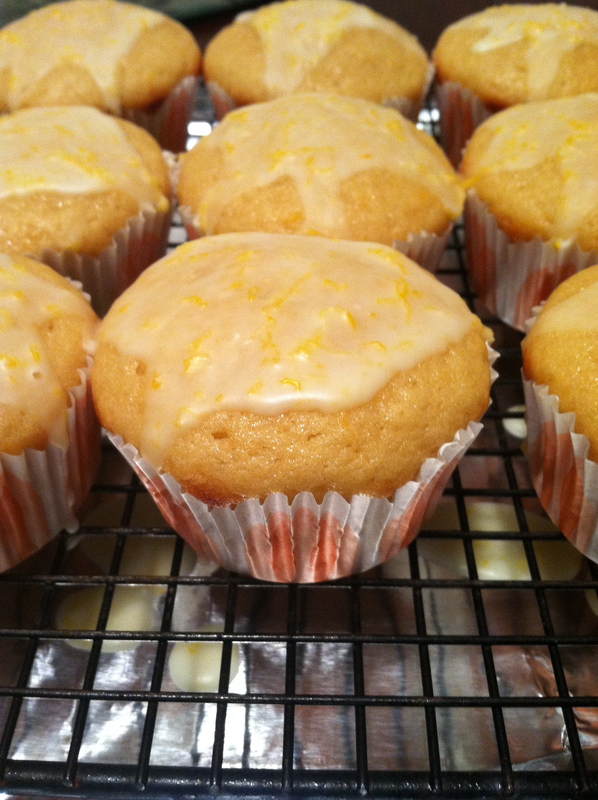 Soft and slightly sweet, they are perfect alongside coffee in morning or can be eaten as dinner rolls. Whenever you choose to make them, be sure to have a few people nearby to spread the love (and flour) around. In the bowl of a standing mixer fitted with a dough hook, combine the yeast sugar and milk. Let sit for 10 minutes or until it gets foamy. Meanwhile combine the flour and salt in a large bowl and whisk to combine. Place 2 cups of the flour mixture in the mixer and begin to beat on a medium low speed for 2 minutes. Combine the egg, yolks and melted butter in a small bowl and stir to combine. Add the egg/butter mixture to the flour in the mixer and beat for 3 minutes. Add the 3rd cup of flour and beat on medium speed for 8-10 minutes or until the dough collects around the hook and is smooth to the touch. Place the dough into a lightly oiled bowl and let it rest for 1 hour. Preheat the oven to 375 degrees. Tear off pieces of the dough (about the size of a lime) and roll them until they are rounded. 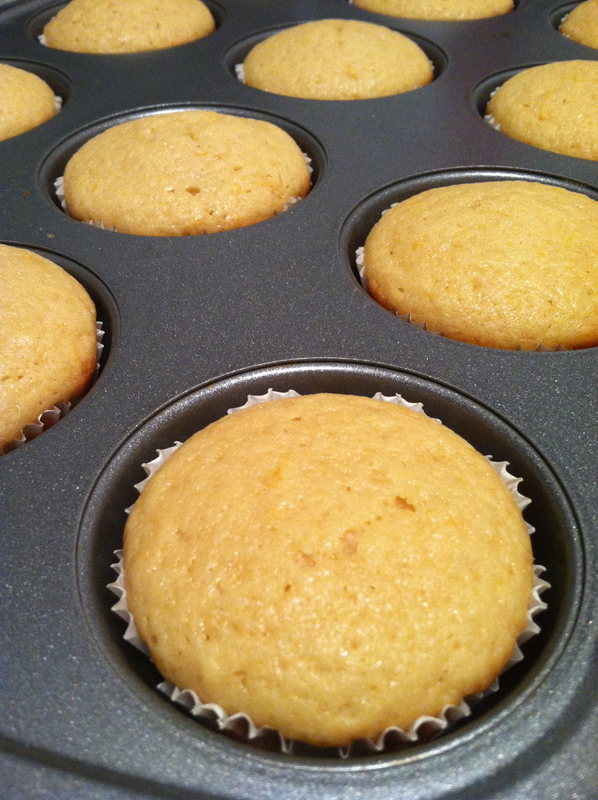 Place them on greased baking sheets and allow to rest in a warm place for 15 minutes. Brush the rolls with a little milk and bake on the center oven rack until golden, about 18-20 minutes, being sure to rotate the pan half-way through to ensure even browning. Remove from the oven and enjoy immediately or transfer to wire racks to cool.